Signed first editions still available! The author will visit Parnassus Books at 6:30 p.m. on June 24! A limited number of signed copies are available! And talk about “staff picks” . . . This week we celebrated the launch of a funny little illustrated humor book for grownups by one of our very own staff, writer Mary Laura Philpott. Come grab an autographed copy of Penguins with People Problems sometime! There are some novels that let you get lost and forget your world and others that you read with a critical eye — not letting yourself fully submerge and give yourself over to the story. I like both kinds, but like most people I get more excited about novels that allow me to inhabit another person’s life or world with abandon. When I read Martin Clark’s The Jezebel Remedy, I started out thinking I might stay a bit disconnected from it. Before long, though, I had fallen over the edge and into the world Clark created. The strange thing about that feeling, and why it caught me by surprise, is that The Jezebel Remedy is what you’d probably call a “legal thriller” — a genre I don’t usually associate with feelings of abandon and emotional submersion. But the characters were so wonderfully created and the dynamic between Joe and Lisa felt so real that I couldn’t help but turn pages to see how the story unfolded. I have noticed when choosing books for the First Editions Club that we frequently say something to the effect of, “I never read this kind of book, but this one blew me away!” It’s good to get outside our comfort zones when reading, so we try to incorporate that into our choices. I felt wonderfully surprised by this book and hope you all do too. Bonus: You can meet Martin Clark here at Parnassus on June 15! Every member of our First Editions Club receives a first edition of the selected book of the month, signed by the author. 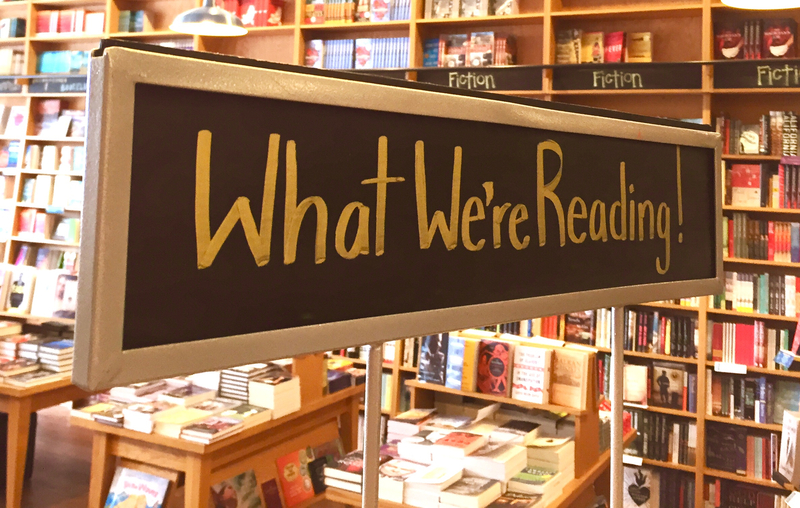 Books are carefully chosen by our staff of readers, and our picks have gone on to earn major recognition including the Pulitzer Prize, the National Book Award, and the PEN/Faulkner Award. There’s no membership fee or premium charge for these books; just the monthly cost of each book (+ shipping if you’d like yours mailed to you). Build a treasured library of signed first editions and always have something great to read! Makes a FABULOUS gift for dads, grads, newlyweds building a shared library — or anyone! Kelly Loy Gilbert’s incredible debut novel, Conviction, unfolds a bit like a baseball game. It has a deliberate, measured pace that belies the turmoil at the heart of Braden Raynor, Gilbert’s protagonist. Gilbert introduces Braden in the aftermath of an event that upended his life, the arrest of his father, a well-regarded evangelical radio host, for the murder of a police officer. As the only other witness to the alleged crime, Braden, a star pitcher for his high school’s baseball team, will have to testify to his father’s innocence or guilt. Although Braden’s struggle to come to terms with what, exactly, he witnessed on the night in question keeps Gilbert’s narrative driving steadily forward, Braden’s deeper conflicts of family and faith are what make Conviction such an extraordinary read. Bart Giamatti (father of actor Paul Giamatti) was the seventh commissioner of Major League Baseball, from 1986 to 1989, but he was also a professor of English Literaure at Yale. He often turned his attention to writing about the sport he loved. Of baseball, he once mused, “It breaks your heart. It is designed to break your heart.” The same is true of Conviction, but, like baseball, the heartbreak is worth it in the end. Wednesday, June 17 at 6:30pm Join us for a discussion led by the author, Lily King! Plainsong, Eventide, Benediction – all wonderful books from the pen of Kent Haruf, enjoyed by people everywhere, chosen by book clubs for years. All three are set in the fictional town of Holt, Colorado, created by a writer who wrote what he knew and lived — small town life on the plains of Colorado. All deal with universal issues in relationships between people: parents and children, friends, neighbors, and lovers. All are told in spare, well-chosen words and sentences. Now comes Mr. Haruf’s last book, Our Souls at Night. Also set in Holt, it opens in a rather shocking fashion, with 70-year-old Addie Moore knocking on her longtime neighbor’s door and asking him if he would be interested in sleeping with her. Both widowed, they agree that their nights are the loneliest. What follows is not salacious, but a moving story of a man and woman who find late-in-life love. Make sure you’re following MUSING for our next big list — Fathers’ Day gifts for all kinds of dads — coming next week!